“True Blue” has always held a special place in my heart in my love for Madonna. I love the Herb Ritts cover, the sheer deluge of singles (five of nine album tracks,) including of course her possible best ballad, “Live to Tell.” I loved the video’s from the album (“Open Your Heart” being a favorite.) All around good stuff. So one of my FAVORITE album cuts of Madonna’s (a singles artist for sure) is the semi goofy, Jimmy Gagney sampling “White Heat.” I know I know… a lot of people, even fans, HATE this song. Either you loathe the line “Get up stand tall, put your back up against the wall, ‘cause my love is dangerous… this is a bust!” or you revel in its campyiness. I’m in the latter category. But then again, I worship the material girl. I thought this week I would focus on some album tracks. Since the onset of the Billboard singles chart, and music as a business overtaking the artistic aspect of music writing, singles are key… and they make the money. But still there can be hidden gems from artists you dig even though you wouldn’t have heard them on the radio. More specifically this week I wanted to highlight songs that are great but even casual fans of an artist might not know. I recently took a listen to Morrissey’s 1994 masterpiece “Vauxhall and I,” one of my favorite albums. Even for Morrissey it’s a pretty dark album, though it has been revealed that at the time he thought it could possibly be his last album, and considered it his best to date. It wasn’t, but it still stands as arguably his best, even if his last two were excellent. Send me your choices for great album cuts in the comments below. I’ve been eagerly awaiting some new official music from the UK’s fun, bratty, honest, ska-lite, Lily Allen. I was a big fan of her debut “Alright , Still” and the wait has been a little too long in my book. But the girl has been having a lot going on in her life, a miss-carriage, the end of that relationship (with a Chemical Brother) plus pretty much constant tabloid exposure… and unfortunately Ms. Allen has a lot to blame on herself, with wild posts to her MySpace blog, and drunken escapades in public. But honestly… that’s part of her charm. For her sophomore set, Ms. Allen is moving from the ska sound of her debut and going more electro-pop. (according to a statement by the singer herself.) First single “Everyone’s At It” sounds very Killers to me… in a good way. Has a great 80’s open sound to it. I’m digging it. Allen has been quoted as saying that if people don’t like her new record she will quit songwriting and pursue a career in A & R because she “likes to go to concerts.” I’m hoping we all like the new record. I’ve been listening to the debut album by electro-pop hopeful Lady Gaga for a while and initially I thought it was filled with some just okay dance tracks, and some that were laugh out loud stupid. But over time I’ve continued to add it to my daily playlist and the songs slowly took hold. A lot of it remains pretty stupid, but it’s a charming kind of stupid. (of course that depends on your tolerance for charmingly stupid) I also saw how much time she was giving to the gay community with appearances on Logo, as well as interviews with gay publications in order to spread her brand of dance pop to an audience that eats it up. So props to you for that Lady. Initially I heard her big hit “Just Dance” which upon initial listen had me relegating her to a cheap dance act, but it certainly grew on me. Which in general has been the case for her entire album. This sounds like a half-hearted recommendation… but I suppose it’s just that I’ve been surprised at how much I’ve grown to like a lot of these songs. She’s a bit Gwen Stefani, a bit Annie, she has an urban edge that is sort of like what Britney does… but not quite. (Though it has been rumored she penned a track for Britney’s upcoming record) I don’t know… I guess you’ll have to decide for yourself. The albums sound is actually pretty varied. She’s released no less than three singles from the record, her latest being “Poker Face” (one of the tracks I deemed as stupid, but catchy.) I’m currently really digging “Summerboy” which has a breezy fun vibe to it. Maybe as winter begins to set in here in New York, I’m just looking for some new, if fabricated, summer bliss. Hot off the heels of his amazing dance record “System” (did anyone buy that? It really was great) from last year, Seal is releasing an album of classic soul covers. The set includes Curtis Mayfield’s “It’s Alright” and “ People Get Ready,” as well as It’s a Man’s, Man’s, Man’s World” by James Brown, and Knock on Wood” and “If You Don’t Know Me By Now.” Starting off the set is the excellent Sam Cooke’s “A Change is Gonna Come.” The song has some very specific relevance in this country (and by default, the world) right now, and come November when the album is released… let’s home it’s true. Hearing a classic song sung by Seal I realize just how great his voice is. With his dance music it’s hidden a bit, but here it really soars. I think this will be a great record. Check out the beautiful black & white video below, as well as a little piece about the album. With the public’s obsession with Britney on full tilt, Crocker, arguably by default, became a blog/internet/media sensation when the above was posted after Brit’s disastrous VMA performance on MTV. So what has he done with this notoriety? He apparently is shooting a show for Logo, and also is working on a music album. Frankly, I couldn’t stand this kid much from what I’ve seen but I write about him today for a couple reasons. One, he did become a true viral sensation by being himself. And by that I mean very very gay. Sure there is a chance that his personality had a laugh-at-the-freak quality, but for anyone to take note of someone so unapologetically gay (and totally on his terms as well) is rather important in a country where it is still so controvertial. 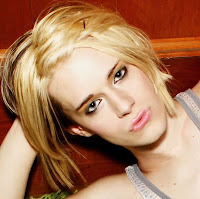 Added to that his music, based on the leaked first single “Mind in the Gutter” is aimed pretty much squarely at gay male fans of Britney’s techno-pop style. Sure it’s a little pop eating itself, but the truth is, for WHAT it is it’s actually pretty good. I think its fun, catchy, and totally what this guy should be doing. And while you may question the relevance of this “artist” I for one think it’s so refreshing to hear a man sing about another man delivered to the men that enjoy that kind of thing. And it’s got a good beat and you can dance to it. I was in a discussion a while back with a group of big time music fans and the question was asked which band was the quintessential, or best, American rock band. Amazingly, as we all thought about the best bands that have existed you soon realize… like NONE of them are American. Zeppelin, the Who, U2, Stones, Beatles… all not Americans. And comparatively, the American bands you start to think of… don’t really come close to those titans. Aerosmith? The Grateful Dead? After much thought I came up with a controversial choice… Fleetwood Mac. They have one of the best selling albums of all time (“Rumors”) and have released moderately successful albums throughout every decade. Disagree? Who would you name? A true American eccentric, Lindsay Buckingham was (and is) none the less part of one of the most important American rock and roll bands of the 70’s and 80’s. His solo work has been spotty, but he’s a guy that follows his muse. I never heard 2006’s “Under the Skin” but apparently the tracks from that album, “Gift of Screws,” and the last Fleetwood Mac album “Say You Will” all come from the same period. Buckingham was all over my favorite Mac album, “Tusk” so I am hip to his brand of off kilter songwriting. There isn’t anything on this album that reached the highs of that album, but for fans of his it’s totally worth a listen. And if you don’t really know ANY of his solo work… he’s the guy that wrote and performed this. So here was a fun discovery, despite the Big Beat movement being basically over, Sonny J revives the genre with a varied album of big dumb dance songs mixed with some soulful introspective tracks. His debut album “Disastro” came out in June, though I had never heard of him, or it. Apparently he dates Lauren Conrad. Ugh. Oh well… the record is chock full of fun tunes, my immediate favorite being “Belly Bongo” which oddly, is not one of the three released singles. Check out the singles below. I’ve been really digging this record over the past couple weeks. I don’t listen to a lot of dub or acid jazz (a little boring okay?) but this album has really grabbed me. This is the first full record I’ve heard from Thievery Corporation, who hail from D.C. This is their 7th record since they started in 1999. They have consistently released music over the years, I guess I just haven’t been paying attention. Despite their laid back vibe, the band is known for their political lyrics and action. Specifically, they claim “Radio Retaliation” is their most overtly political yet. Well… if I’m honest with you, I’ll say that I haven’t really heard that message as I’ve strictly used it as mood music. But tracks like “Radio Retaliation” make it clear that they are coming out against corporate saturation within radio and life itself. Political or no, the album is great cocktail music, maybe best for your election day result party? Hmmm. Unfortunately, I find with bands like this that make (in some respects) background music, I rarely follow up on past or future albums. There just isn’t enough that grabs me, despite listening to this a whole heck of a lot. But maybe it’s time to do some backtracking… this is that good. What makes these shows exciting is a) they are playing brand new music for the first time in front of an audience. b) they are the most intimate shows they now play, a far cry from the arenas they are playing in the UK and throughout Europe and c) the audience is comprised of friends, family, and people that have been with the Sisters since the beginning. Given the “like old times” feel of this intimate show, I thought I would highlight an old live favorite from the beginning days, “Available (For You)” which was released as a B-Side from their first single off the debut album, “Laura.” In getting excited for the show I have been listening to all the Scissors stuff I had and this fun gem has been on repeat once again. I remember a friend asking Babydaddy if they would play “Available” for one of their New York shows after the release of their debut and they became international rock stars, and he said “No, we’ll probably never play that again.” I never say never… and if you’re a big fan, this is a tune you should know. I’m happy to report that her latest is a return to form of sorts. I don’t think it’s as good as her the aforementioned four album masterpieces her self titled (1988), “Sweet Old World” (1992), “Car Wheels on a Gravel Road” (1998), and “Essence” (2001.) But it reminds me of 2003’s “World Without Tears.” Not necessarily great from start to finish, but filled with solid songs. After the dreary “West,” it’s nice to hear Lucinda rock out again with some upbeat numbers like first single “Real Love,” and “Jailhouse Tears” though still her strong suit lies within slow burning laments about love, loss, and the hardships of life. “If Wishes Were Horses” is another killer Lucinda ballad, and the almost mid-tempo “Tears of Joy” sounds like a classic bluesy soul record. Great stuff. 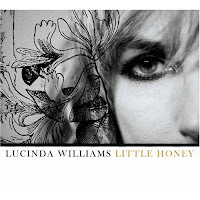 So “Little Honey” may not be as good as “Car Wheels,” but how do really attempt to top one of the best records ever written? So I’ve given their sophomore album, “Loyalty to Loyalty” a couple spins and while I’m not really connecting to it, I do think it’s pretty good. There a chance you might think the lead singers voice is annoying, I might not disagree. But there is an urgency and passion there that you might not find with say… Hoobastank. “Something is Not Right with Me” is the first single and it’s practically over-flowing with that sort of now or never propulsion… it’s really hard not to take notice. Weird. SO weird… and yet there is something about Of Montreal, the Athens, Georgia based band that is endearing. They are set to release their ninth album, “Skeletal Lamping’ at the end of the month. I’ve never been a huge fan of the band, just a little too weird for me… and seeing the band live (taken by my two youngest cousins, WAY hipper than old me) didn’t really help. But I may change my tune because I’m actually really digging the new album, the first of theirs I’ve listened to in its entirety. Lead Kevin Barnes, the main creative force of the band, is an eccentric indeed, from their live shows (filled with costumes) and the music itself… which I would describe as psychedelic dance pop. A real mix of all different kinds of instruments and beats. Actually, it’s hard to describe. Last night was one of those I (heart) life, I (heart) New York evenings. At 6:30 PM I sat down to a lovely dinner that the BF made only to be called just shy of 7 PM by my good friend Nick. “Hey what’s going on?” he asked… I probably replied “not much” though I should have said “chili.” “Interested in a free ticket to see Madonna tonight?” he says calmly to me. “Uhh… YEAH!” Just shy of two hours later I was sitting in a great seat about to see the most famous person in the world’s latest live concoction. Unbelievable! This was now the second time I have seen the Material Girl, the first being the Confessions tour of 2006. I think I liked that show a touch better, though I LOVED that album and simply like “Hard Candy,” her latest hip-hop flavored record. And like the “Confessions” tour, she stuck mostly to the new album, performing all but two tracks, with a mix from her previous records. The show was very impressive visually (where “Confessions” was more impressive dance-wise) with moving video screens that splashed colorful animation, gritty film for each song, and even Britney. Yes, Britney. Though I’m not a huge fan of the song, the performance of “Devil Wouldn’t Recognize You” was visually amazing. Madonna performed the song wrapped in a black sheet on top of a black piano while a see-through video curtain surrounded her, with images of rain and splashing water whirled around. It honestly was one of the most impressive visual things I’ve ever seen. Part of the fun of the show was also hearing old songs re-worked for the tour. My favorite being “Into the Groove’s” 80’s style hip-hop remix that was both fun and so fitting to see in NYC with all the dancers, and Madge herself, in New York 80’s street attire. “Vogue” got a “4 Minutes” mash-up treatment, and “Like a Prayer” got a full on gay club high drama boost. I didn’t much care for the guitar based re-work of “Hung Up” though. Take a listen to the studio version of the tour “remix” of “Into the Groove.” I think it’s just a backing vocal track because it doesn’t sound mixed quite right… but this is what you heard while she performed the track. Generally speaking, if you are a fan of the James Bond franchise, you have a certain affinity for the themes that have been created for the films. I fall into this group loving the oldies of the series like Shirley Bassey’s “Goldfinger,” “For Your Eyes Only” by Sheena Easton, and even Madonna’s “Die Another Day.” As much as I loved the latest “re-boot” of the series, “Casino Royal” starring the perfect Daniel Craig, the theme song by grunge icon Chris Cornell was boring. I couldn’t be happier to hear that none other than Jack White was doing the theme to the latest film coming out this November with Alicia Keys. Sort of a strange combo for sure… but after a couple listens I think this really works. It certainly sounds like a Bond theme, both the vibe as well as the title. I think their voices sound great together and really think White was able to take his style and mold it to the Bond sound. I’ve been listening to “Ode to J. Smith” for the past couple days and think its pretty good, though not sure it deserves the glowing reviews it’s getting. But I am a fan of the band so I am still listening. A lot of the tracks are standing out though, with “Long Way Down,” “Song to Self,” and first single “Something Anything” being highlights. I always felt bad for this band because they really developed the sound that Coldplay and Keane got much more famous for. They never were able to break America fully… will this more “rockin’” Travis do it? Despite being the toast of American hipsters for a while, I didn’t really care for the Justice record. Not that I am deeply versed in French House (I’ve got my Daft Punk, call me a follower but aren’t they the best?) but Justice verged more on noise than anything else to me, only hit single (well, in a hip blog way) “D.A.N.C.E.” hit me as being well… listenable. 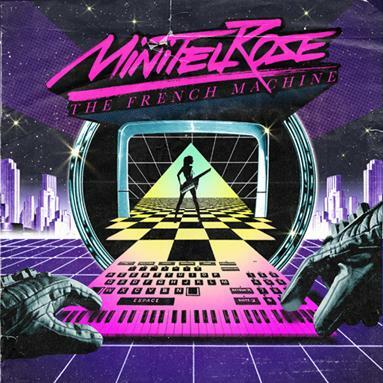 So I randomly came across this debut album by fellow French electronic band Minitel Rose. It’s much less hard-hitting than Justice or Daft Punk, and has an odd 80’s influence both musically and visually from their album artwork. According to their MySpace page, they are influenced by girls, space, infinity, video games, 80’s movies, and… time travels. It’s totally strange for sure, but for a while I couldn’t stop listening to it. “Magic Powder” is so strange and hypnotic, the whistling is truly something. Maybe not “Young Folks” catchy but it certainly penetrates your skull. As expected, the videos are totally bizarro too… oh those French!